Welcome to the October Release from Taylored Expressions!! This month's release is an AMAZING array of stamps, dies, paper packs and supplies to make all of your Holiday and Christmas projects! Woohoo! 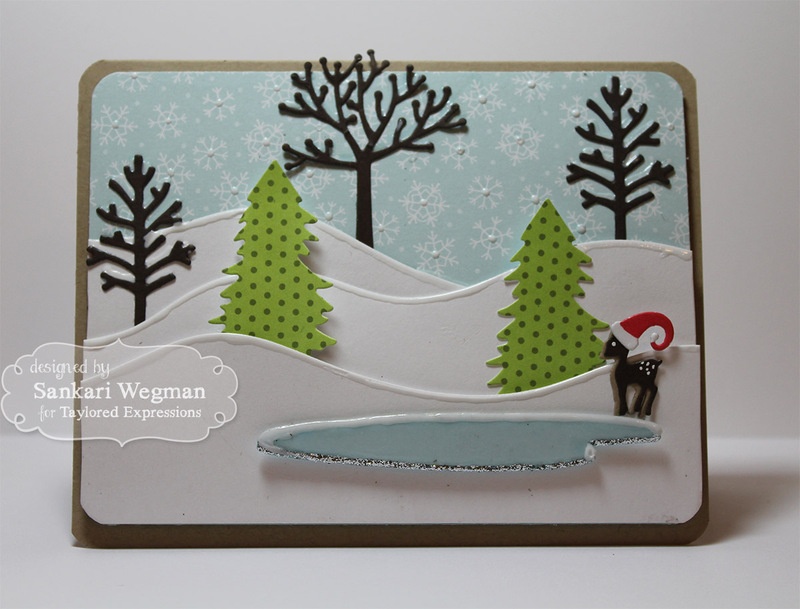 For my second card, I created this fun super sweet winter scene using the new Build A Scene - Winter trees (that comes with different trees ready to be paired up and scened up!). I used the Build a Scene - Rolling Hills to create these snowly hills and used the new lake from the Build A Scene - Central Park dies for the little lake and deer. The little deer in the hat is adorable! Great cards today! Your color combination is warm and cozy! Both cards are wonderful. My favorite is the ornament card. AWESOME! So very wonderful! 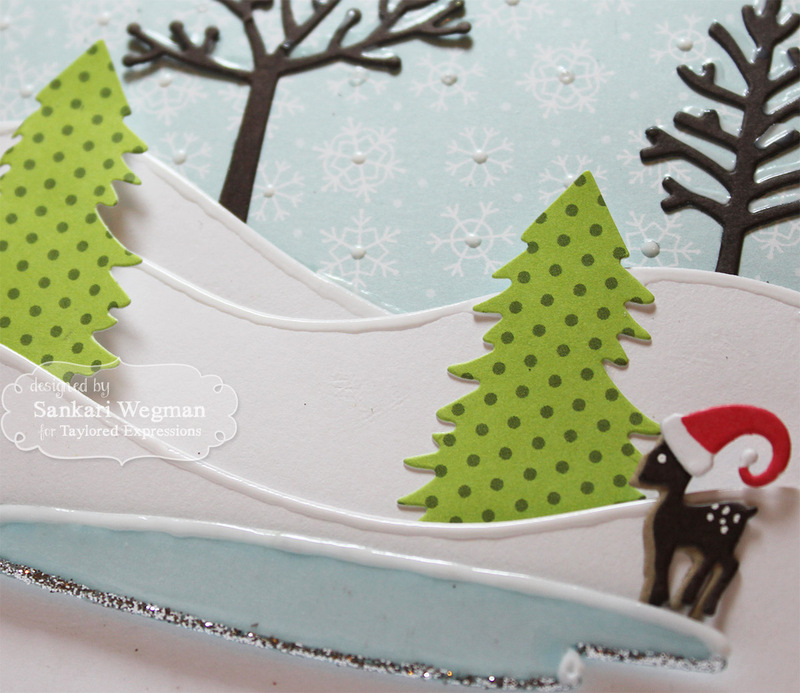 I love sweater paper and how you cut a spot for the ornament to tuck into! Super cool scene, especially with the white shine and the sparkle of the glitter! Thanks so much for sharing!